I love a good chocolate chip cookie, but I confess my favorite part of a chocolate chip cookie is not the chocolate chips. It's the actual cookie itself. And the dough? Forget about those chocolate chips altogether, just let me eat the dough plain. 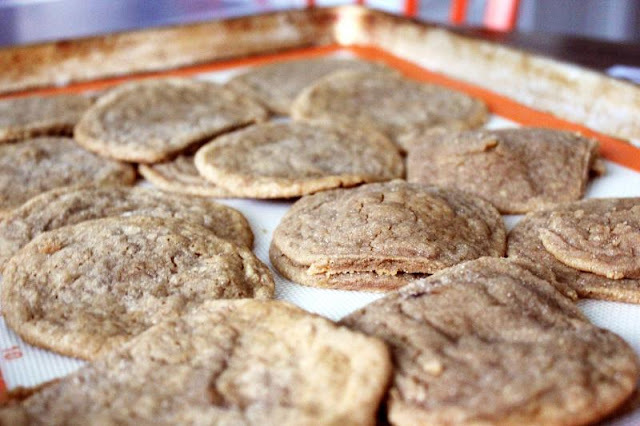 These cookies are basically if you had the dough in a cookie form. You would think that would just mean making the cookies without the chips, but no, those don't turn out quite so well. These are just using brown sugar, and that slight extra tang of molasses-y flavor really makes them delicious and reminiscent of cookie dough. Mine spread much more than the original recipe I got this from, and I'm not entirely sure why. I chilled the dough, they have cornstarch as well that should help prevent spreading too. Perhaps my butter was a little too warm when initially mixing together the dough. As such, I recommend you melt the butter, but then make sure it gets back to room temperature before continuing. 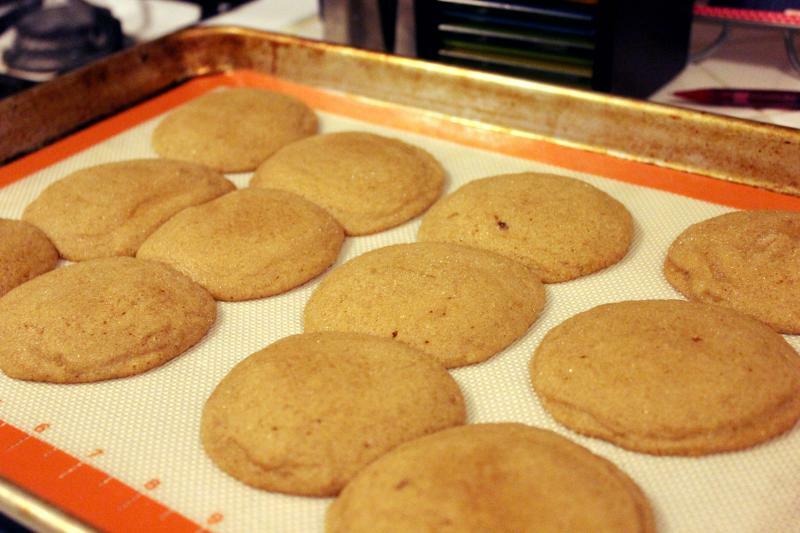 That being said, it doesn't much matter that these cookies came out a little flat, because boy do they taste amazing. Not to mention they are super easy to make. You don't even need a mixer! 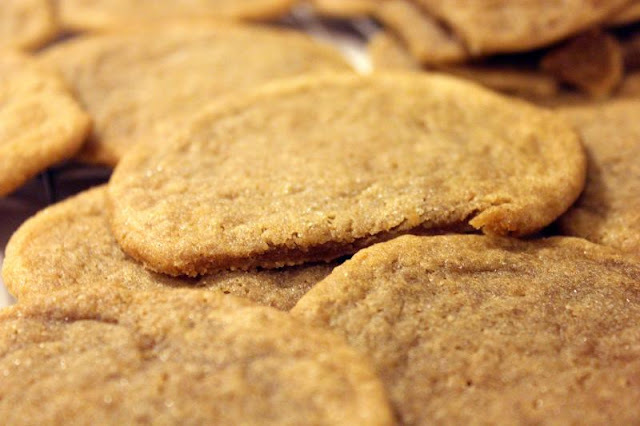 These were a weeknight cookie, so the pictures took a lot of adjusting in Photoshop and are probably still not as good as they could be, but I couldn't wait to share this recipe with you! In a large bowl, whisk together the flour, baking soda, cornstarch, cinnamon and salt. Set aside for a moment. 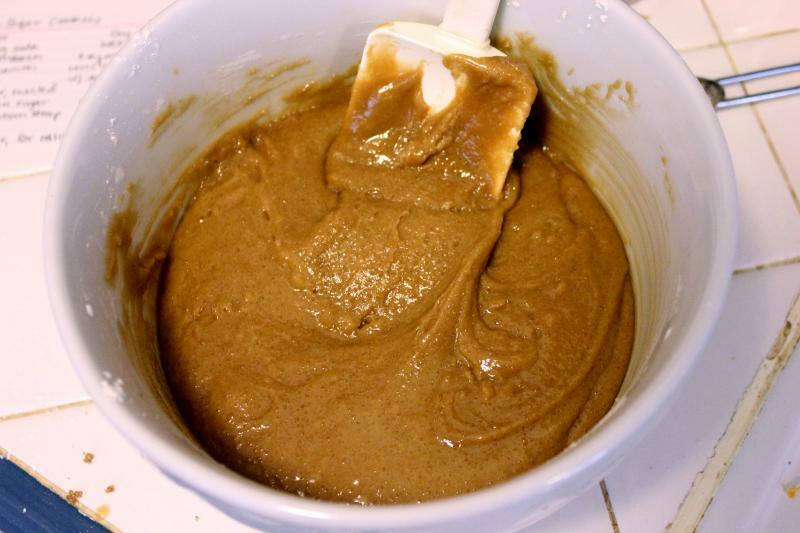 In a medium bowl, whisk together the melted butter and brown sugar until it's all smoothness, then whisk in the egg. Finally, whisk in the vanilla. Pour those ingredients into the dry and mix together with a spatula until the flour is all mixed in (but don't overmix!). Cover and chill for at least 2 hours, or as long as three days. Preheat the oven to 325F. 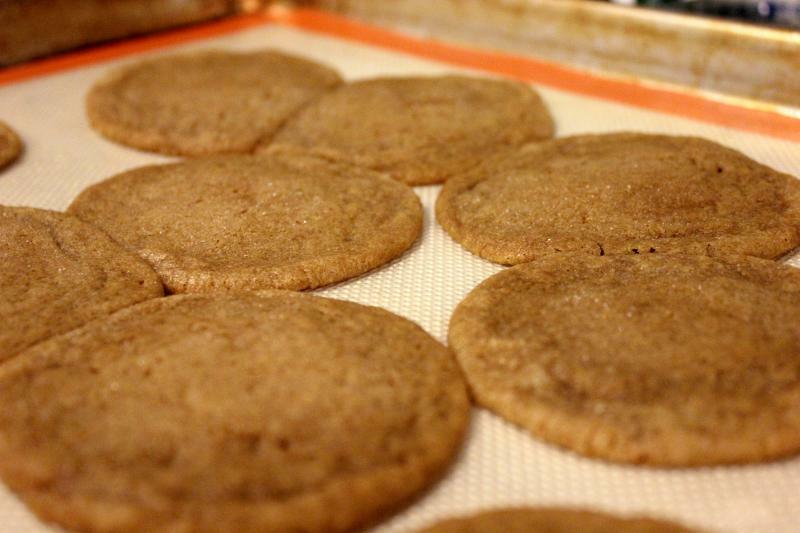 Line your baking sheet with parchment or a silicone baking mat. Pour your granulated sugar into a bowl, then take a lump of dough (about 2 Tbsp worth) and roll it into a ball, then roll in the sugar. Repeat until you fill up your sheet, with 2 inches in between each cookie. Bake for 10-11 minutes. They'll still be soft in the middle, but you're going to leave them on the pan to finish cooking another 10 minutes, so that's okay. After those 10 minutes are up, transfer to a wire rack to cool completely. 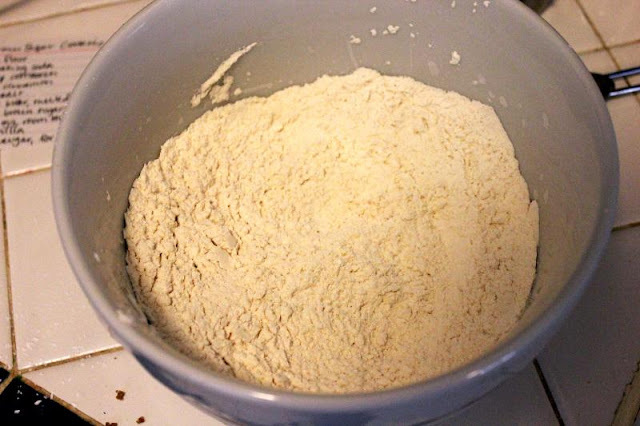 The flour mixture. 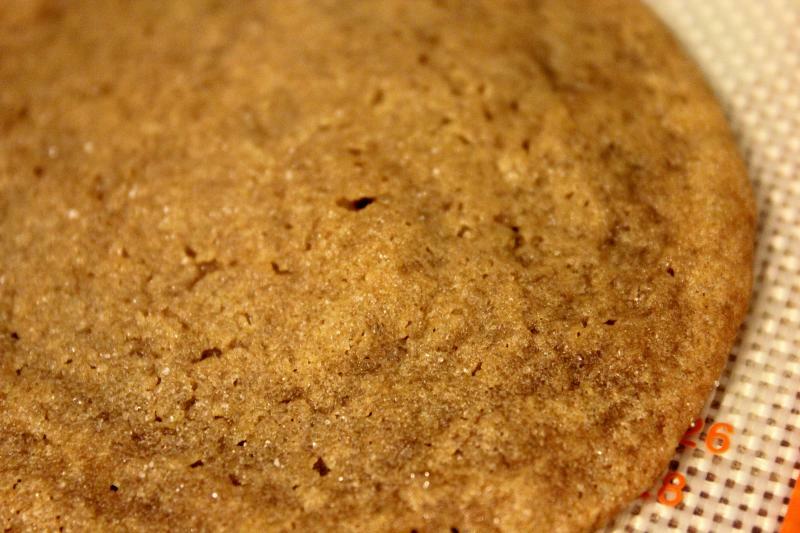 I only used 1/4 tsp cinnamon because I have some really strong cinnamon. The wet mixed in with the dry. I didn't get a photo of just the wet as they turned out all blurry! Cover this and let it chill for two hours. 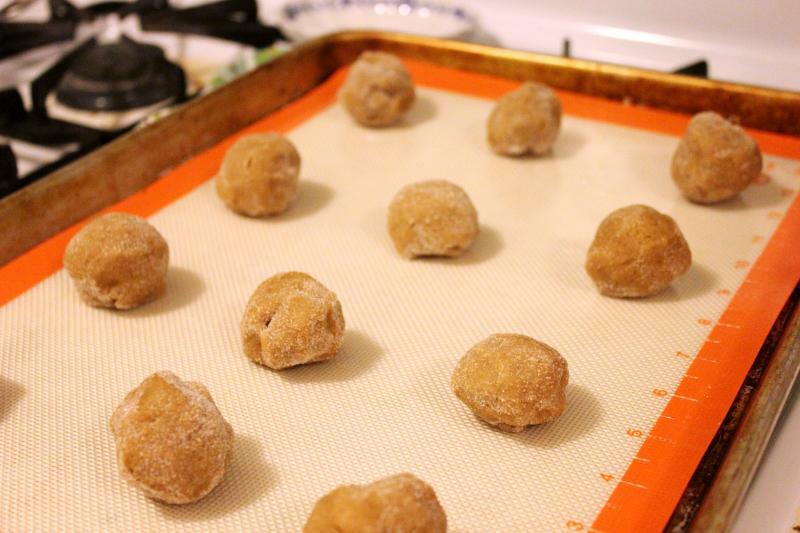 After chilled, roll some balls up in sugar and place on your baking mat. Bake at 325F for 10-11 minutes. Out of the oven, they will be slightly puffy. Let sit on the sheet for another 10 minutes to finish cooking. They'll flatten out as they cool.